Bahrain designates 68 groups as "terrorist"
The Gulf kingdom of Bahrain on Monday published a list of 68 Islamist militant groups it classified as "terrorist", the state news agency BNA said. 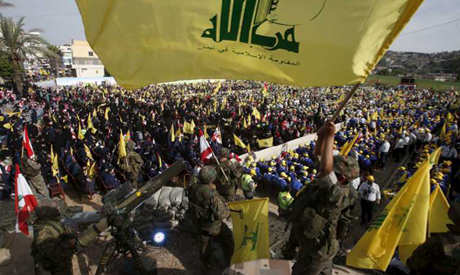 Lebanon's Shia Hezbollah movement, already branded as "terrorist" by the Gulf Cooperation Council and the Arab League, topped the list approved by Bahrain's cabinet, BNA said. Also on the list was Al-Qaeda and its branches in Yemen and North Africa, as well as Al-Nusra Front in Syria and the Islamic State group (IS group). Nigeria's Boko Haram, Egypt's Islamic Jihad and Al-Murabitoun in Mali are also on the list. Also included are the little-known Al-Ashtar Brigades and Resistance Brigades, as well as the clandestine February 14 Coalition, all believed to be Shiite groups in Bahrain. A similar list already issued by the United Arab Emirates includes 83 groups. Bahrain, Saudi Arabia and the UAE are all partners in the US-led coalition that is bombing IS group militants in Syria and Iraq.